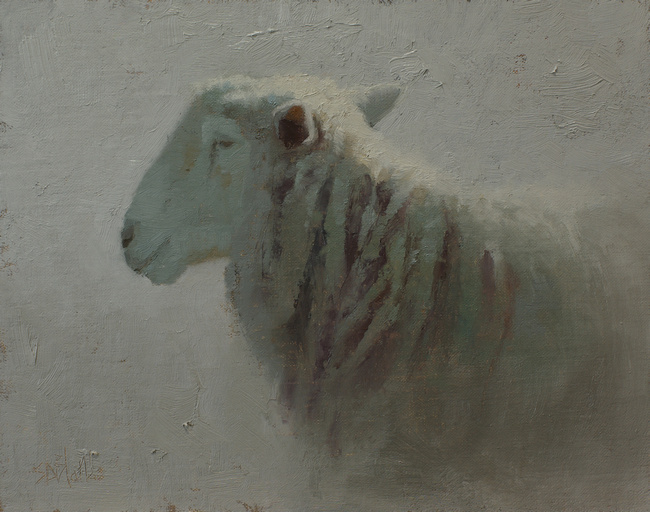 A small portrait of a sheep. Set against a diffuse gray background, the painting has a heavy, textured paint application. 8x10, Oil on linen panel.